New DLC released for Splatoon - ranked battles and Splat Zones also unlocked - Use a Potion! Nintendo has released some free DLC for Splatoon featuring a new weapon and map. They’ve also opened up ranked matches and a new game mode, Splat Zones. 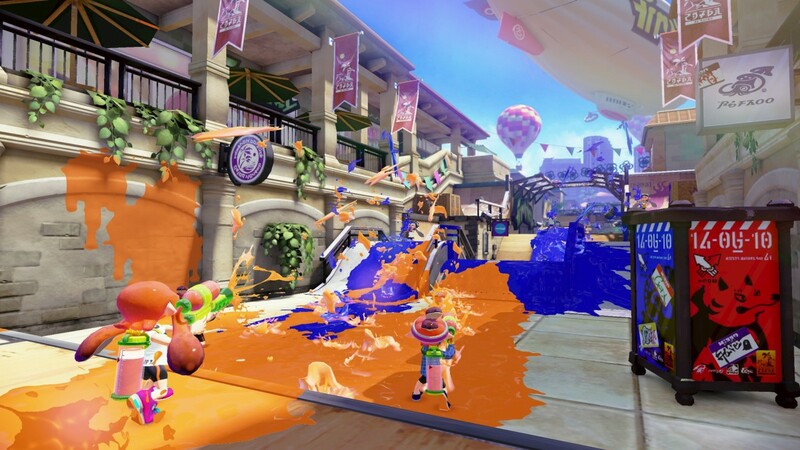 Splat Zones is Splatoon’s take on capture the flag with teams trying to control a zone as long as possible, the team having held it the longest when time runs out deemed the victor. Players will also unlock the N-ZAP85, a weapon based off the Zapper peripheral for the NES. Players will also be able to battle it out Port Mackerel – all available now!